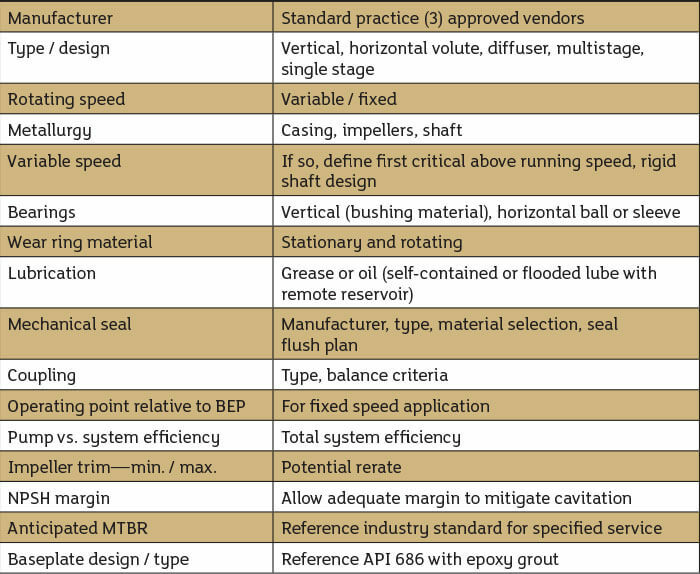 To pick up where I left off in the August 2018 issue of Pumps & Systems, this column focuses on pump selection criteria specific to the general scope document (GSD). Again, I must emphasize we are not specifying the pump, we are only providing a pump selection criterion to ensure the desired reliability and efficiency that one would expect from a properly sized and designed system. The hydraulic aspects will be addressed by the engineering design firm using state-of-the-art flow modeling software. Developing your pump criteria is an art form that requires three things: clear communication, high involvement (from the team) and a strong working knowledge of pumps. In other words, it requires a combination of being articulate, highly involved and knowledgeable. Usually the engineering firm pushes back on some portions of your scope document, and the pump is typically at the top of the list. I have prepared a chart (Table 1) that may be used to develop your pump selection. The chart provides a comprehensive list of items to address when developing the GSD. The pump selection chart provides a list of considerations that the end user team should evaluate and consider during preparation of the GSD. When preparing said chart, the end user must look beyond first cost as we discussed in earlier columns. 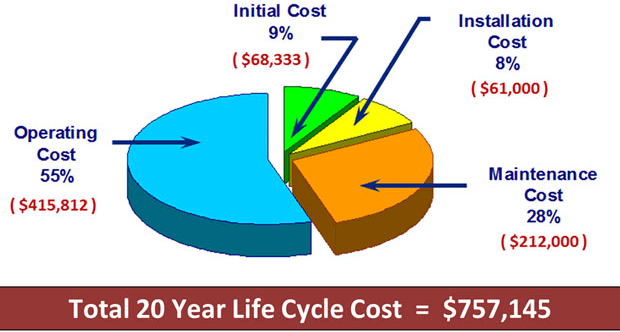 The choices you make in pump selection in the GSD will determine your maintenance cost over the life of the pump.